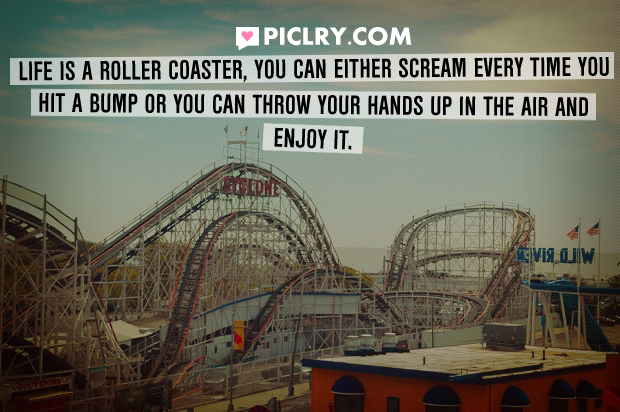 Life is a roller coaster, you can either scream every time you hit a bump or you can throw your hands up in the air and enjoy it. Happiness does not depend on outward circumstances, but on the state of the heart. Stand up upon the right side, and I shall expound the similitude unto thee.